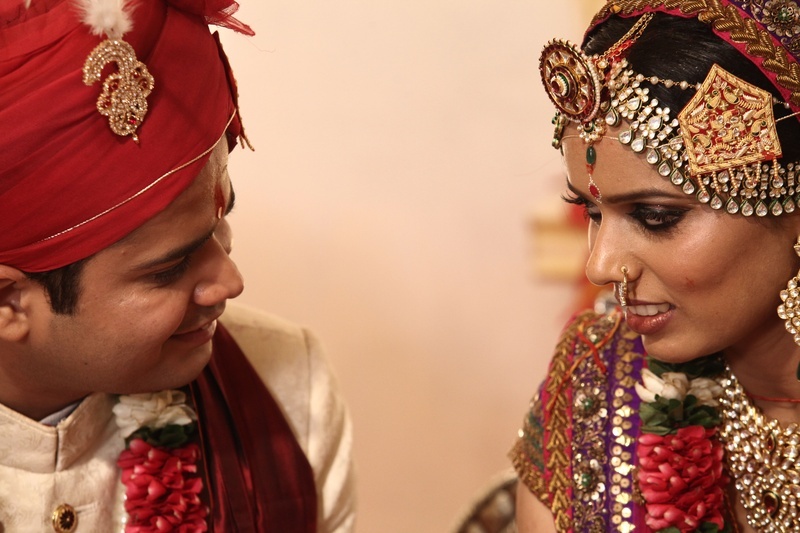 Out of the three cities in their mind, Nidhi and Gaurav had a tough choice to make before their wedding day. 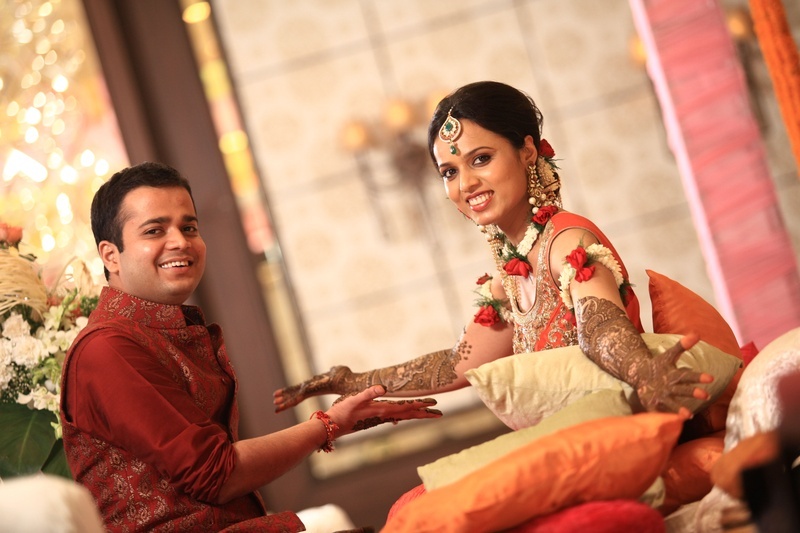 After a lot of thought, they finally decided to tie the knot at the Mayfair Banquets situated in the Temple City of India - Bhubaneshwar! 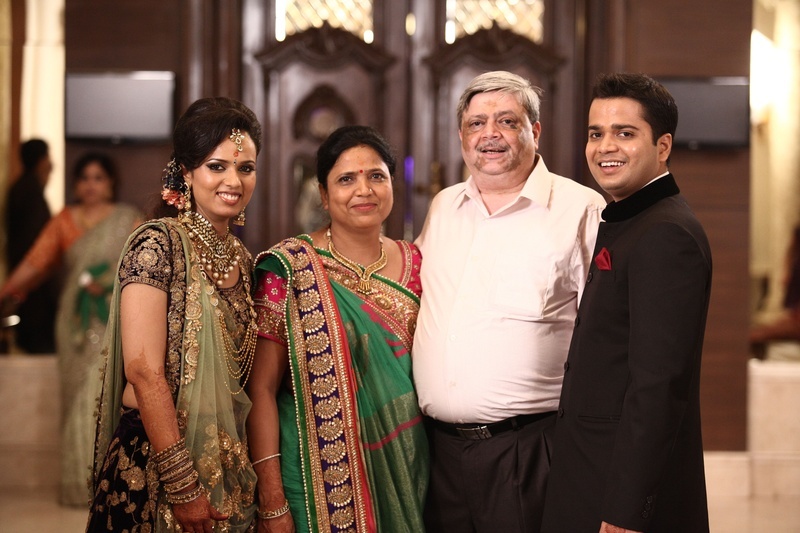 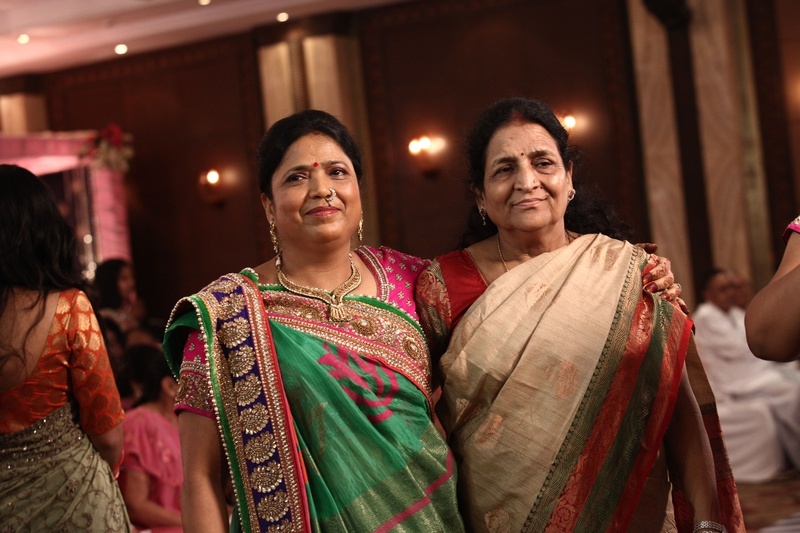 Their grand Marwari wedding celebrations was held across three days. 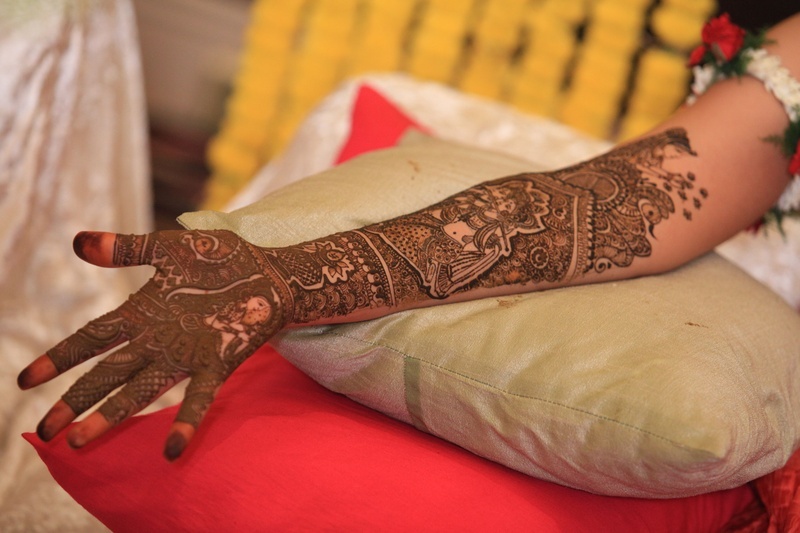 On day one in the morning, Nidhi’s limbs became a canvas to die for during the mehendi ceremony. 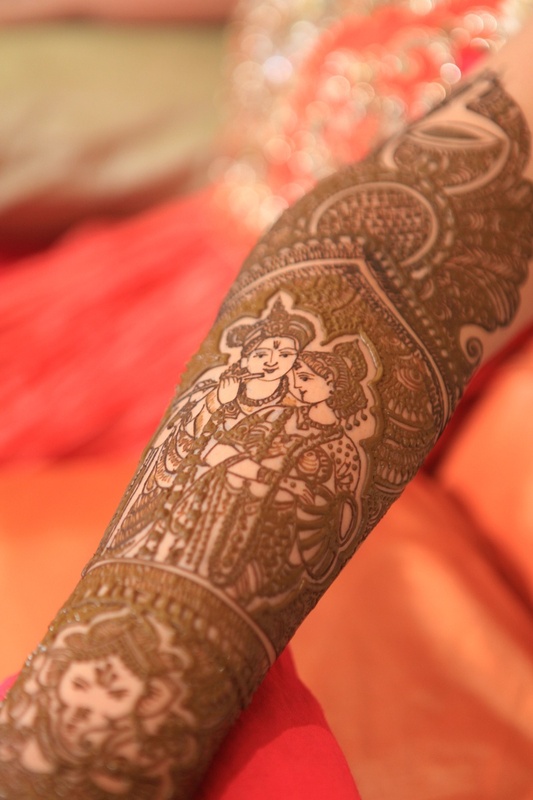 Her inspirational mehendi design had detailed impressions of Radha and Krishna surrounded by authentic and intricate mehendi patterns. 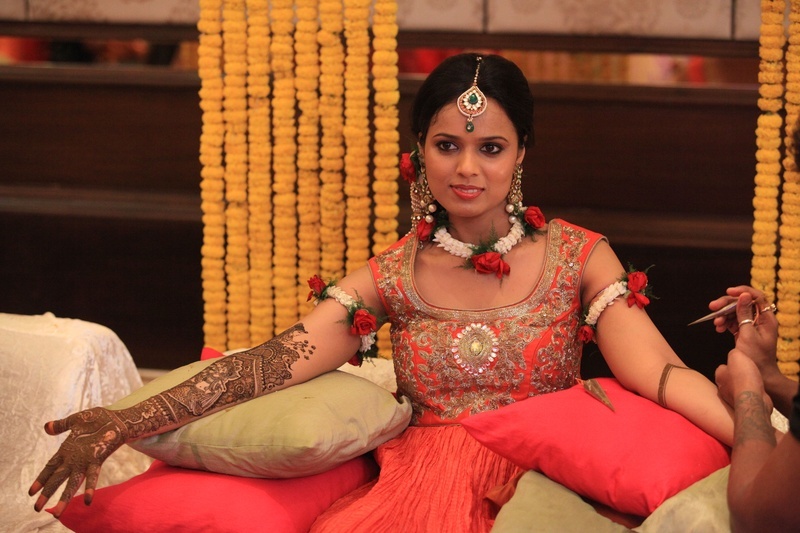 She wore a very pretty coral orange anarkali designed by Swati Agarwal. 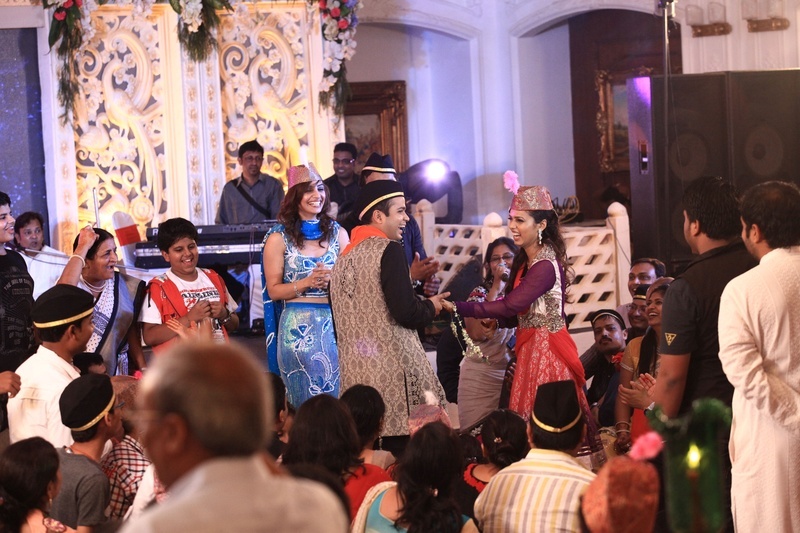 In the evening, the couple had a musical Sufi Night, where the bride and groom were dressed to theme, with Gaurav wearing a designer kurta-churidaar and Nidhi, a bridal salwar suit from Kamali, Kolkata. 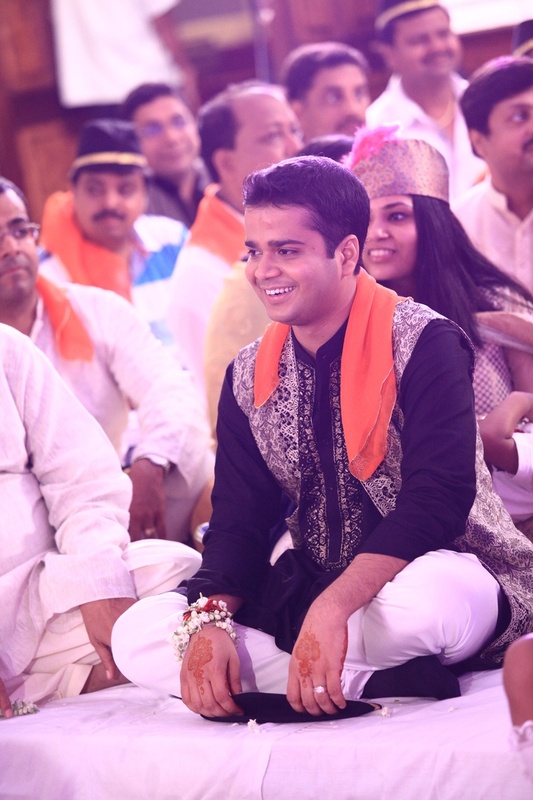 They both had a classical Qawwali headgear that accentuated their entire Sufi attire. 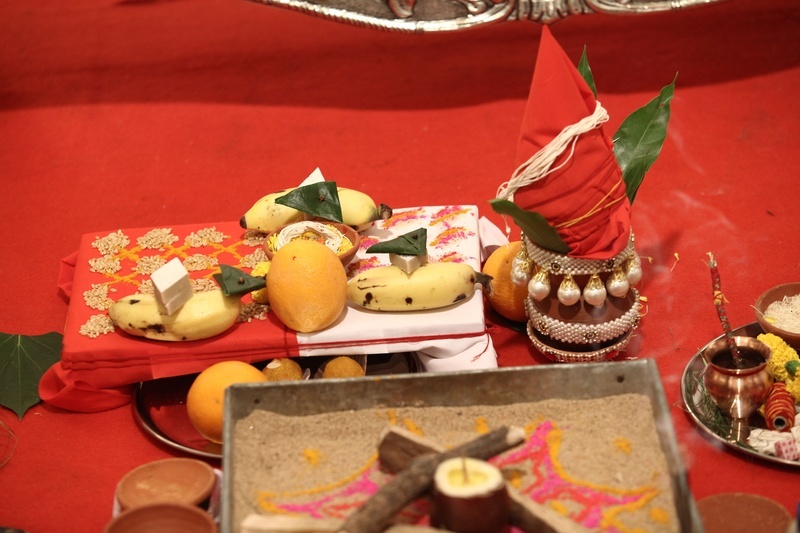 Day two started with the auspicious Haldaat Ceremony. 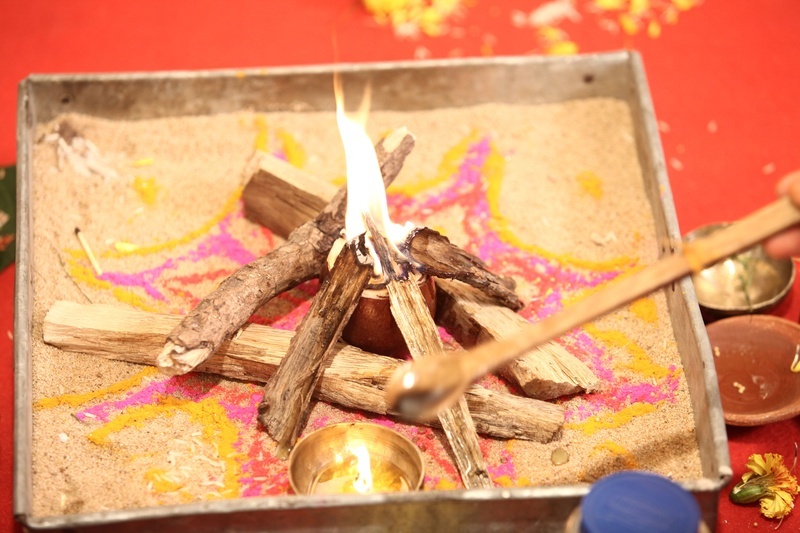 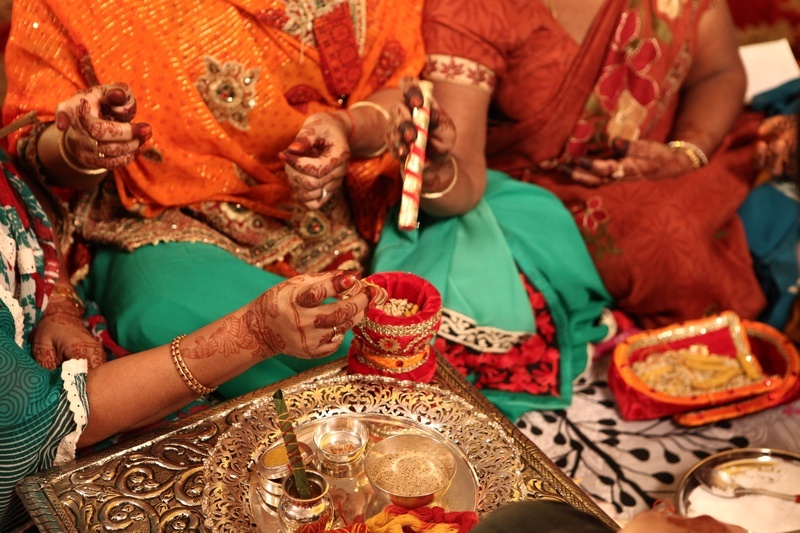 In this ritual, seven female members of the family grind raw coriander, haldi, sandalwood powder and rose water in a mortar and then crush it with a pestle to make a thick paste. 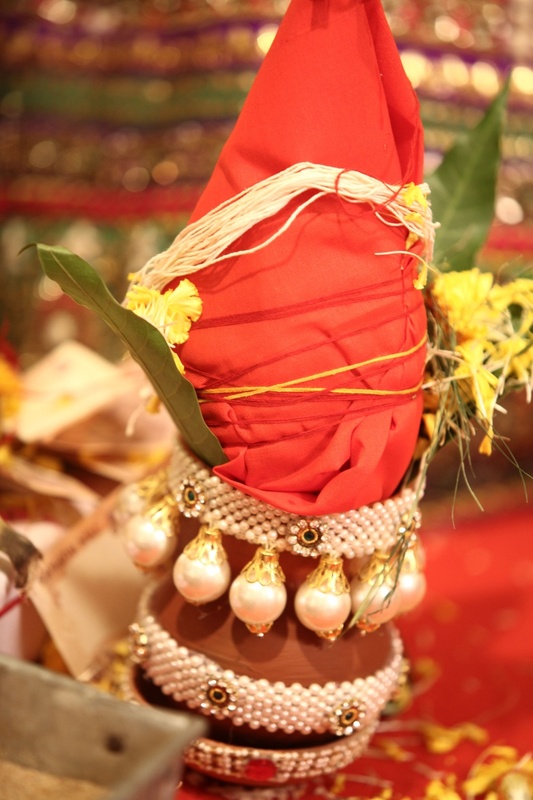 With a small napkin on his head, Gaurav sat right in the center of the banquet hall for the Telband ritual. 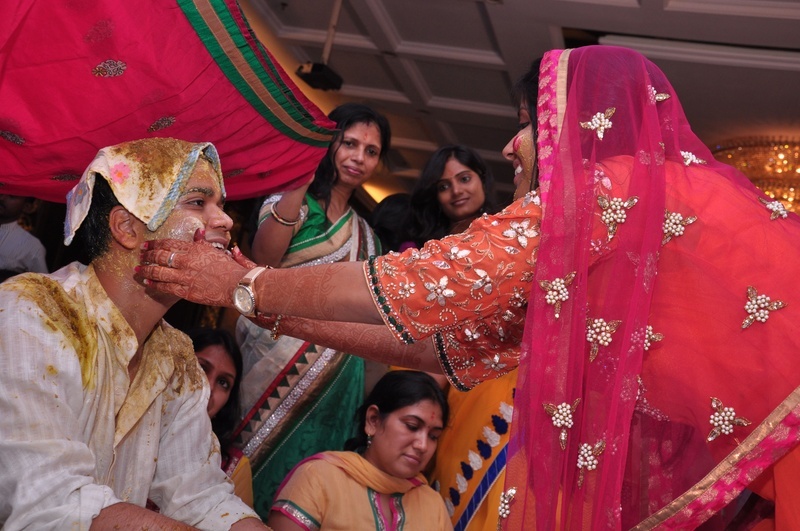 Mixture of mehendi (henna), haldi (turmeric) and sarso tel (mustard oil) was applied to his shoulders and face. 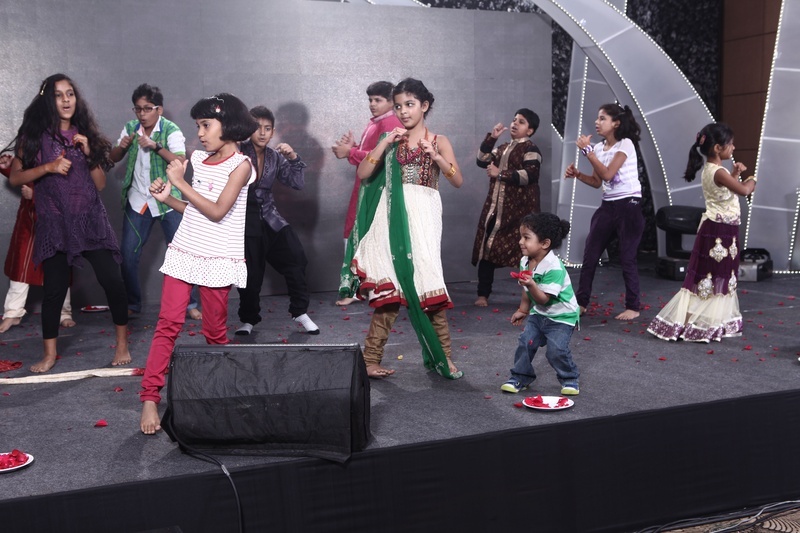 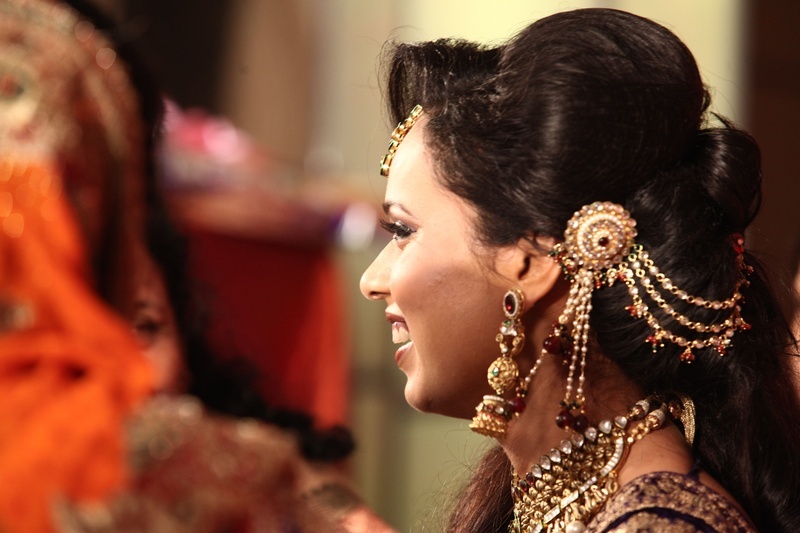 The day then transitioned to the fun Sangeet Ceremony. 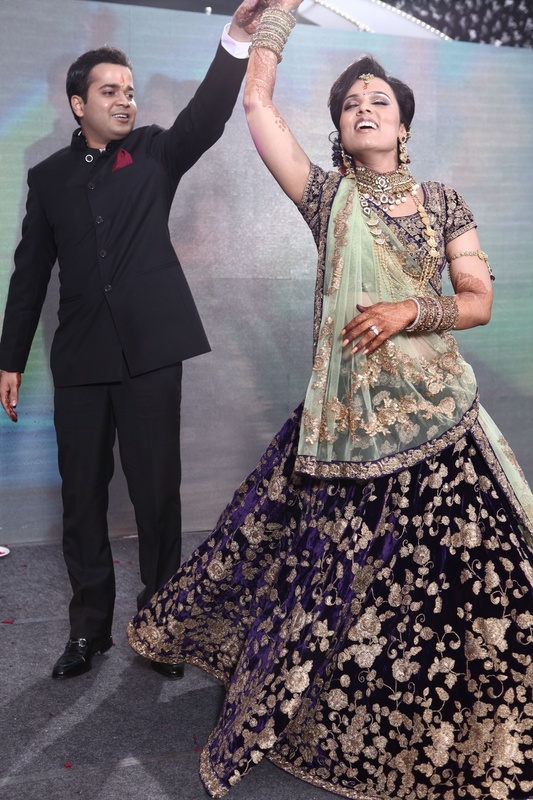 The bride and the groom are seen sharing the stage dancing to the romantic Bollywood number, ‘Raabta’ choreographed by Namrata. 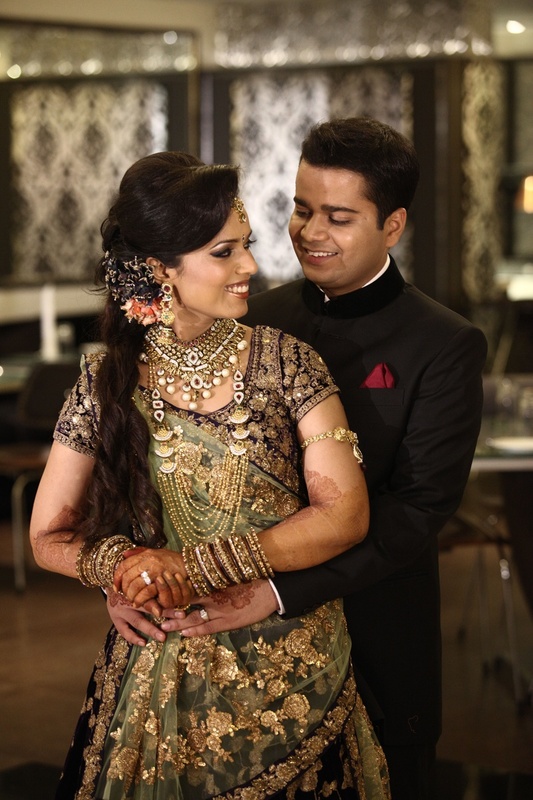 Nidhi looked absolutely ravishing in her designer purple and pista sangeet lehenga that was accessorized with an antique bridal jewellery set. 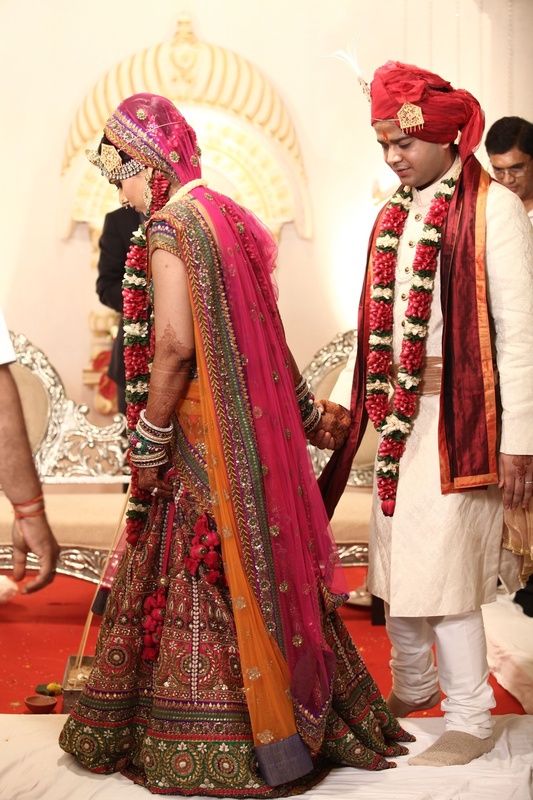 Day three brought this enchanting Marwari wedding to its last and the most important phase- The grand wedding! 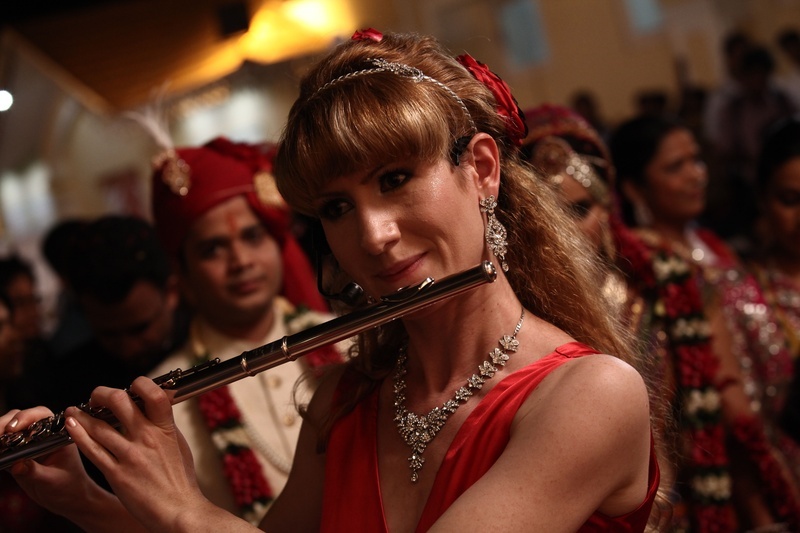 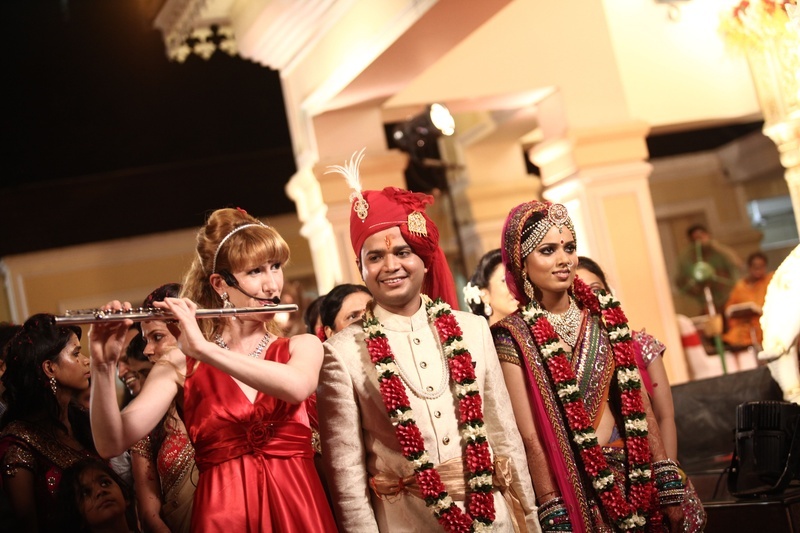 The bride and the groom made a dramatic entry with a female wedding entertainer, playing a musical tone on the flute. 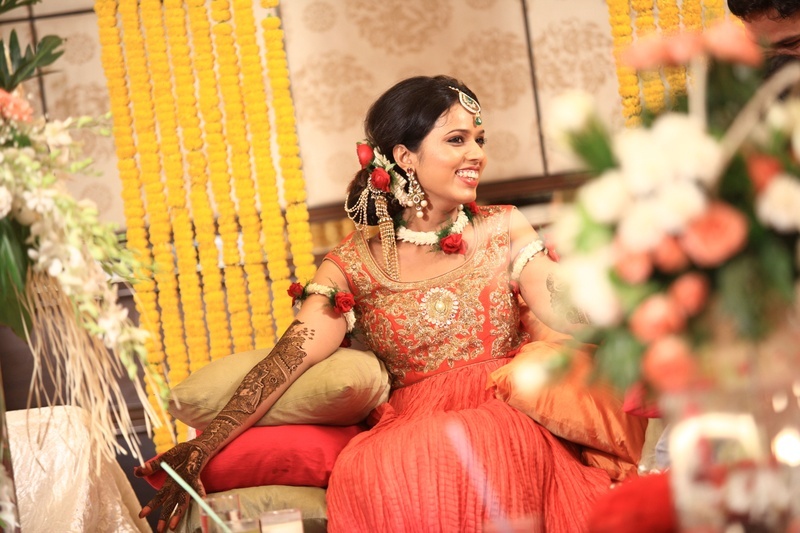 By blending a modern yet traditional look, Gaurav pushed the envelope, with a dapper cream achkan, a red safa and an elegant kalgi. 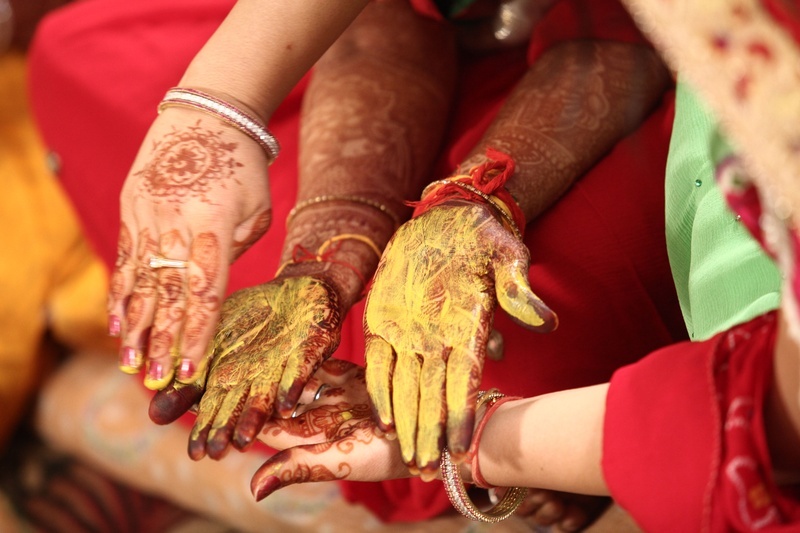 Holding each other’s hand the bride and the groom took their saat pheras in an indoor wedding mandap, following which they also exchanged garlands on an elevated platform, with yellow party poppers in the air. 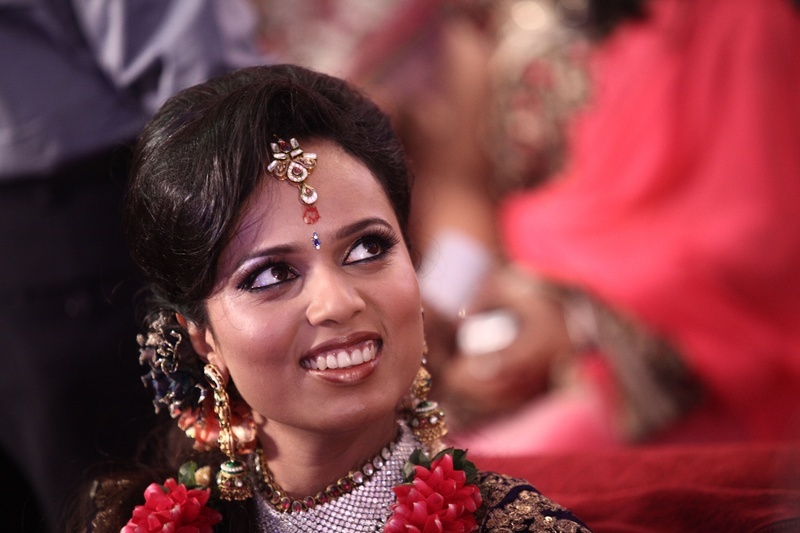 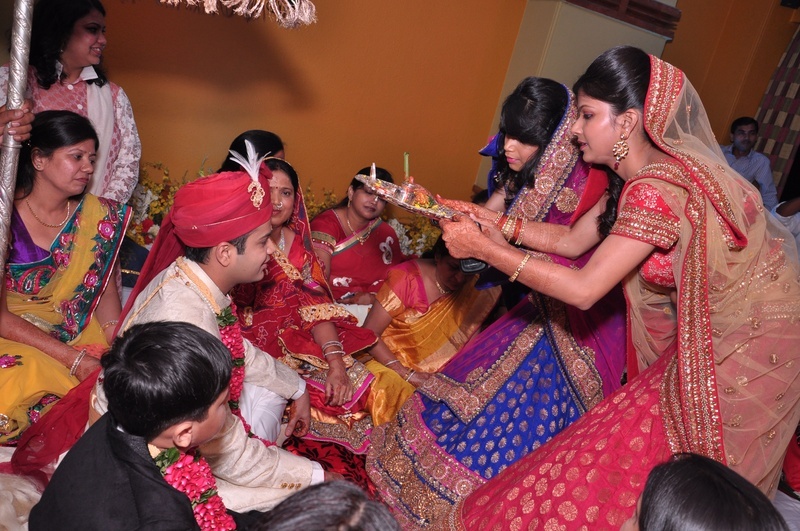 The most memorable, rather funny part of this wedding was when Nidhi had to guide Gaurav to perform the Mathi ritual. 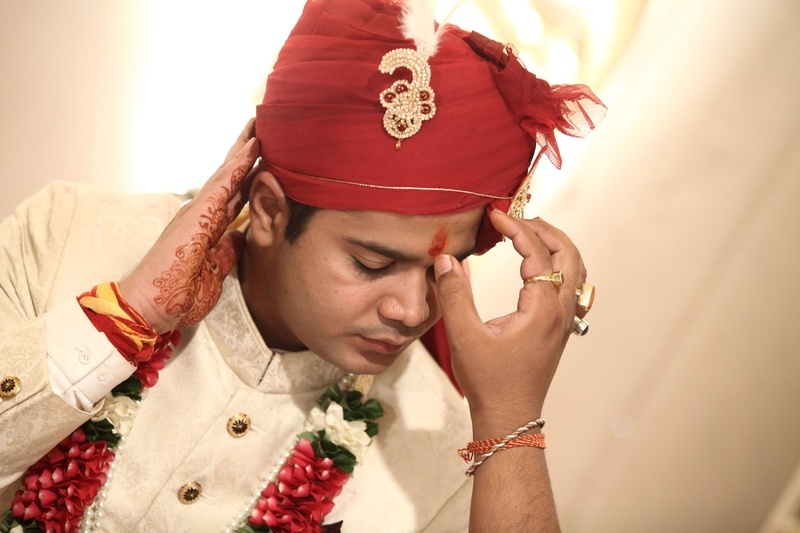 Nidhi says, “Gaurav had no idea what the ritual was all about and kept wobbling his head, with a funny expression on his face. 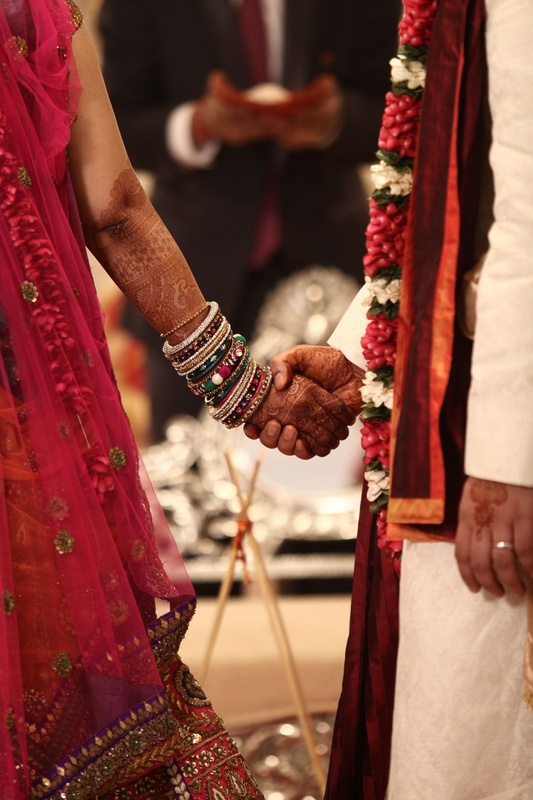 I had to hold his hand to get his attention, have him look me in the eye and demonstrated how to knock it off”. 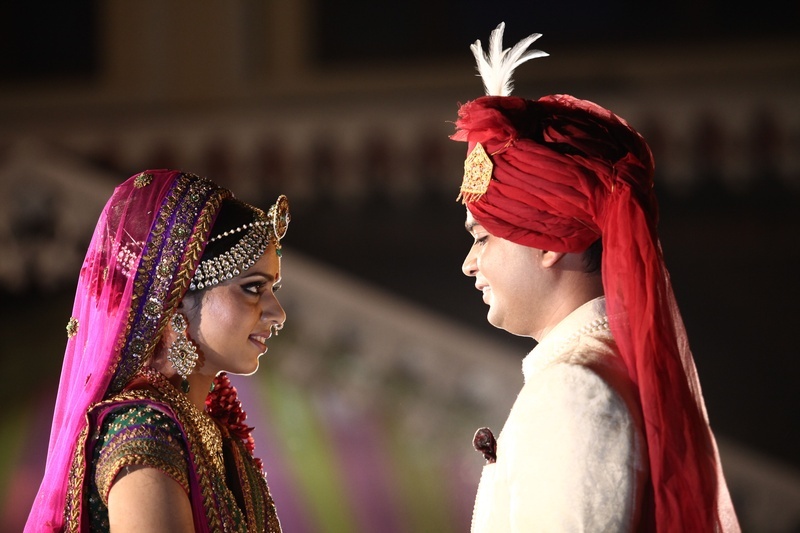 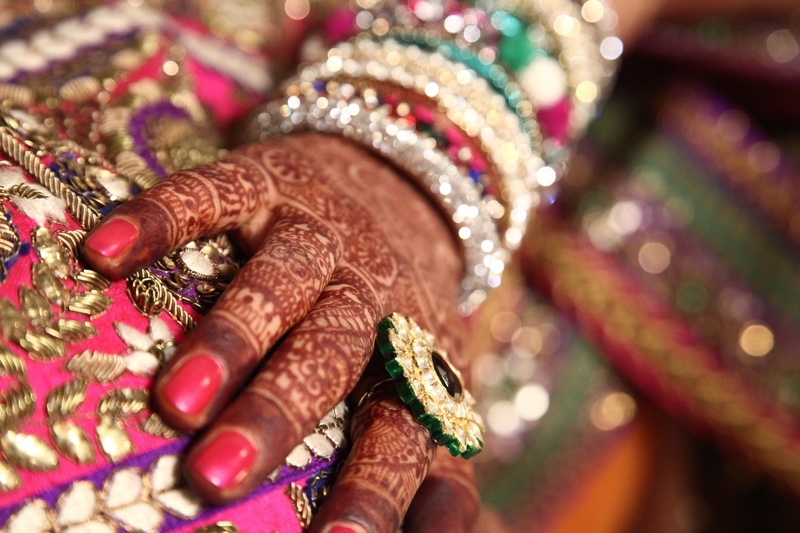 With an artistic bent of mind, Navneet impressively combined his instincts, techniques and spontaneity to capture the couple’s wedding images. 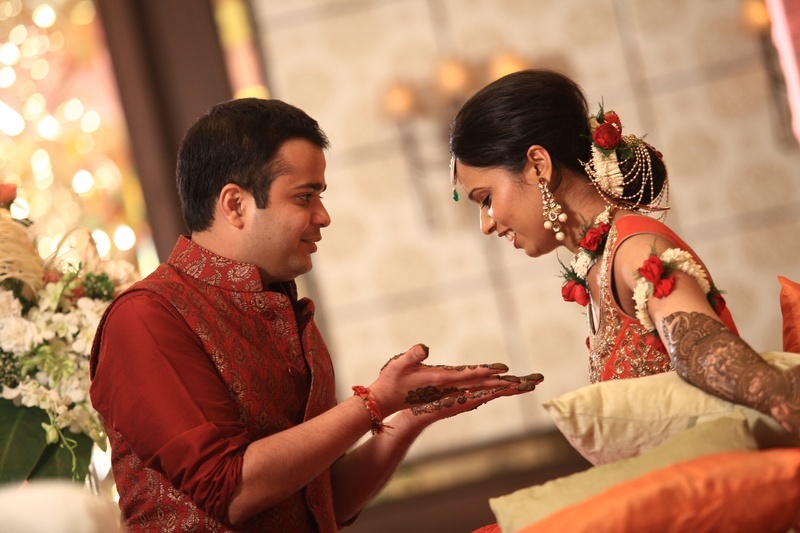 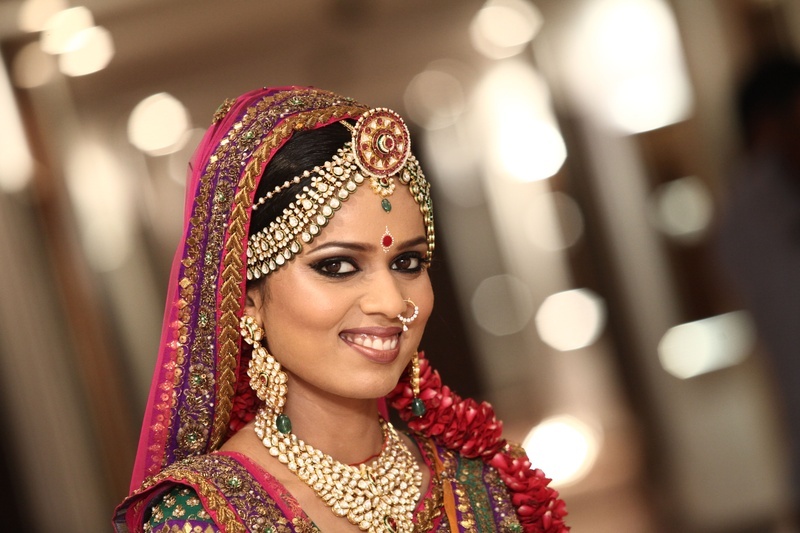 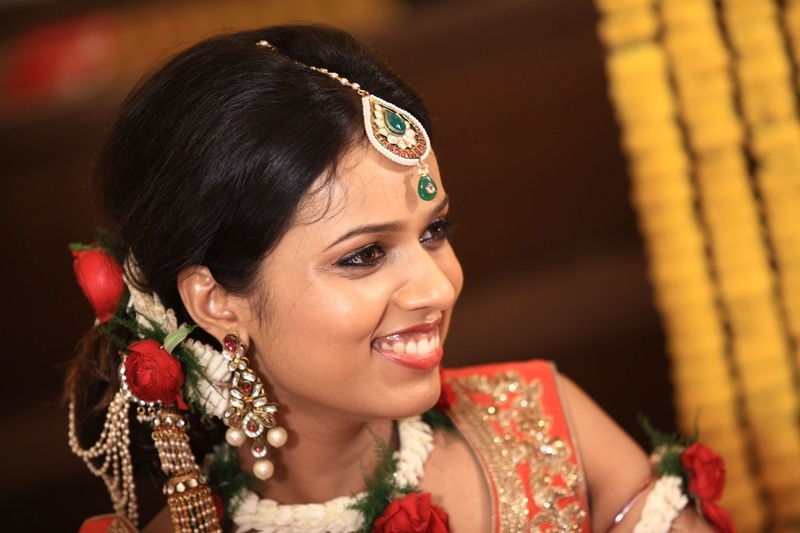 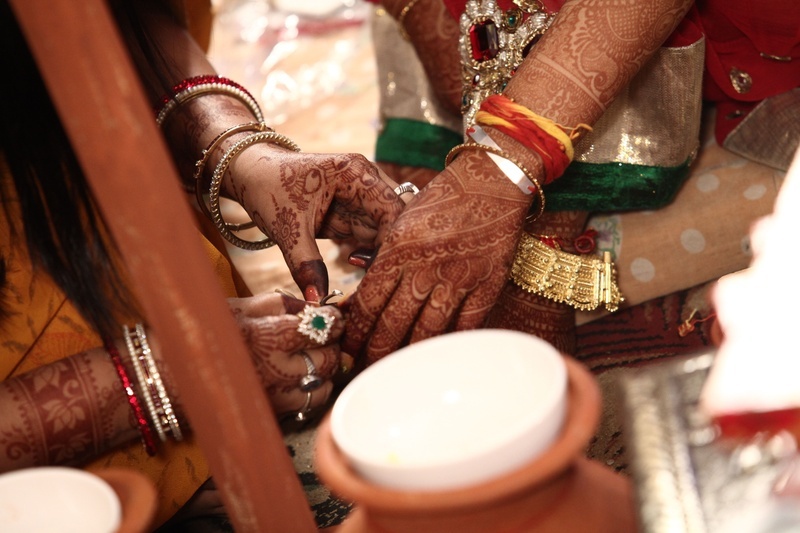 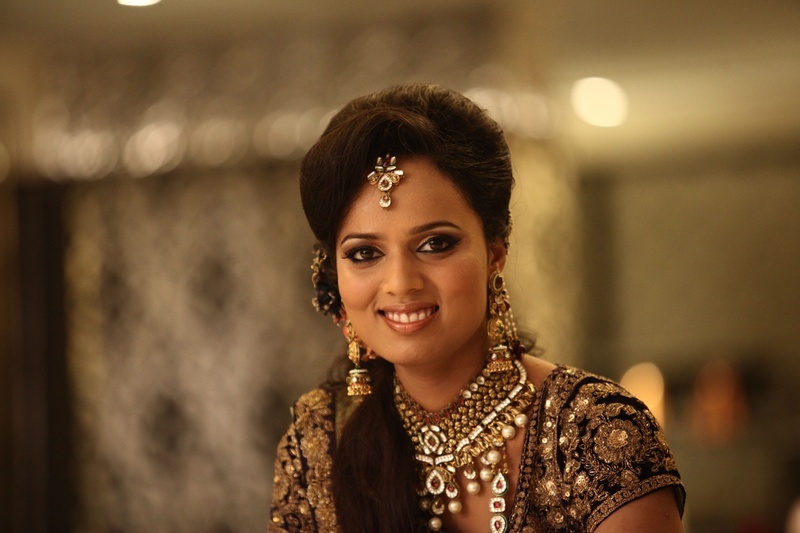 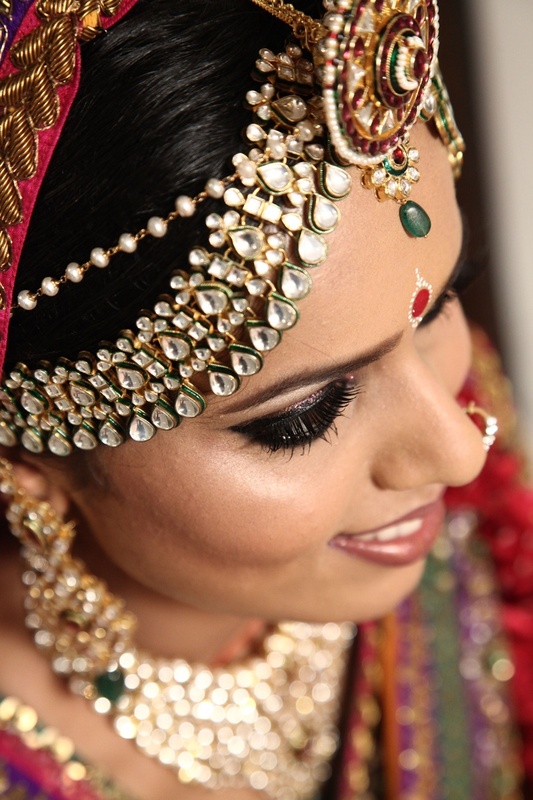 From the Sufi Night to the eye-catching Varmala Ceremony, Vinod Bhandari was the wedding planner for their special day. 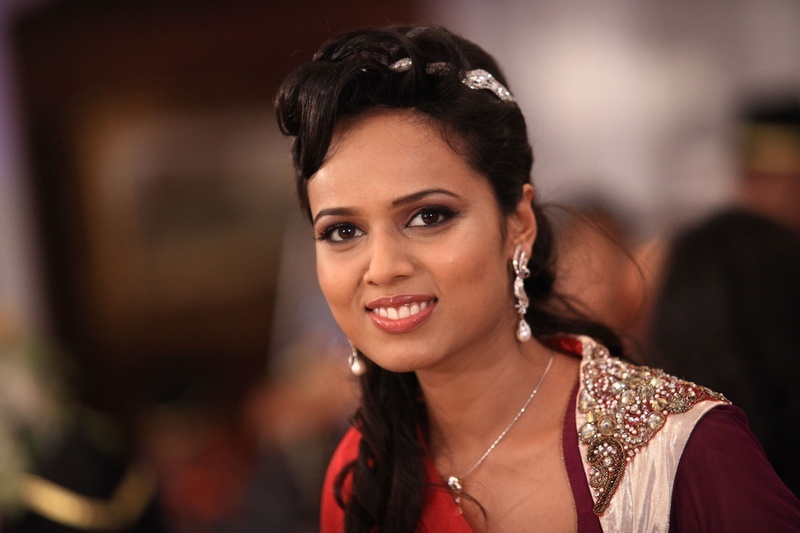 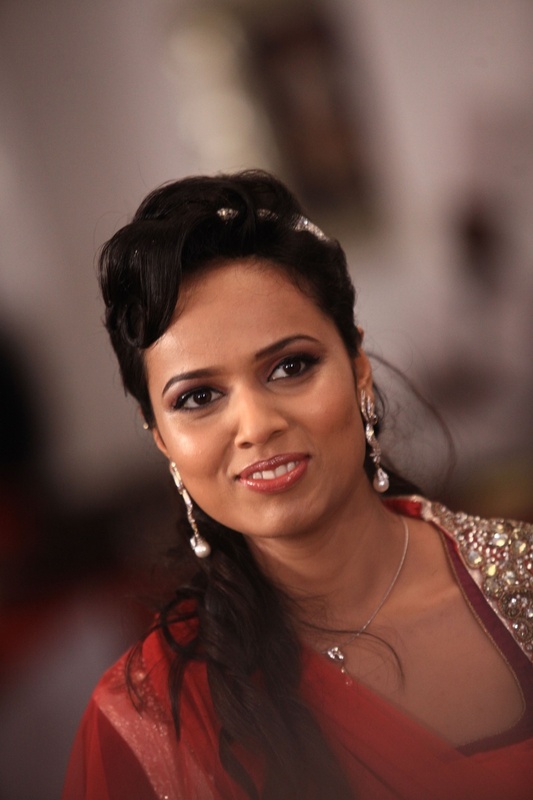 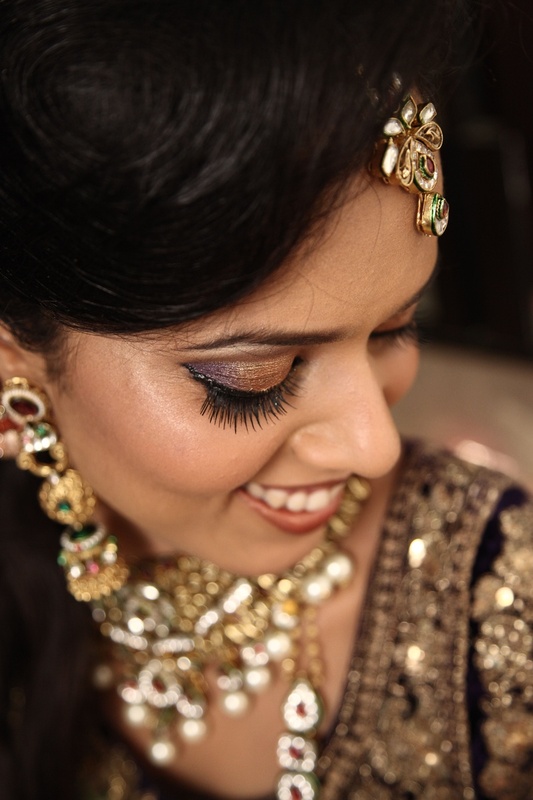 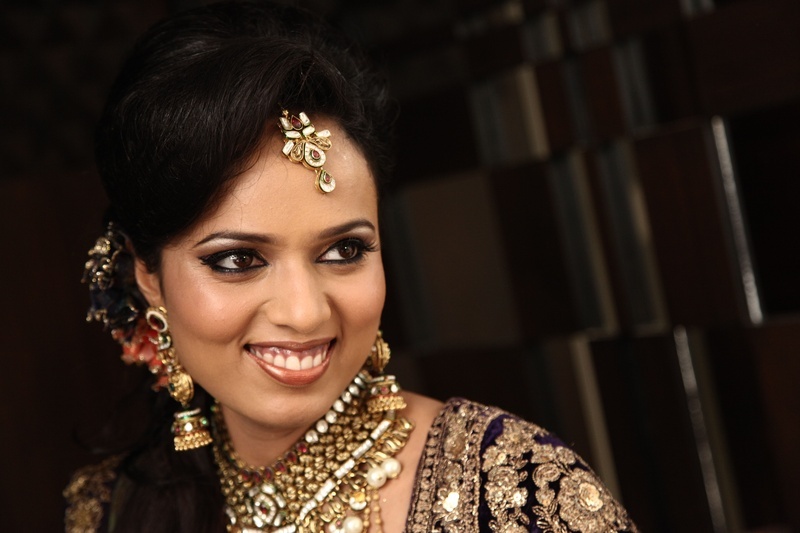 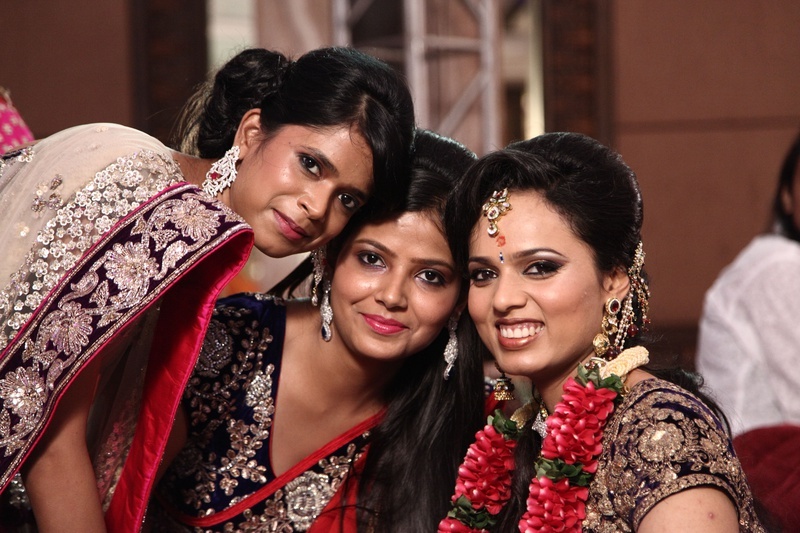 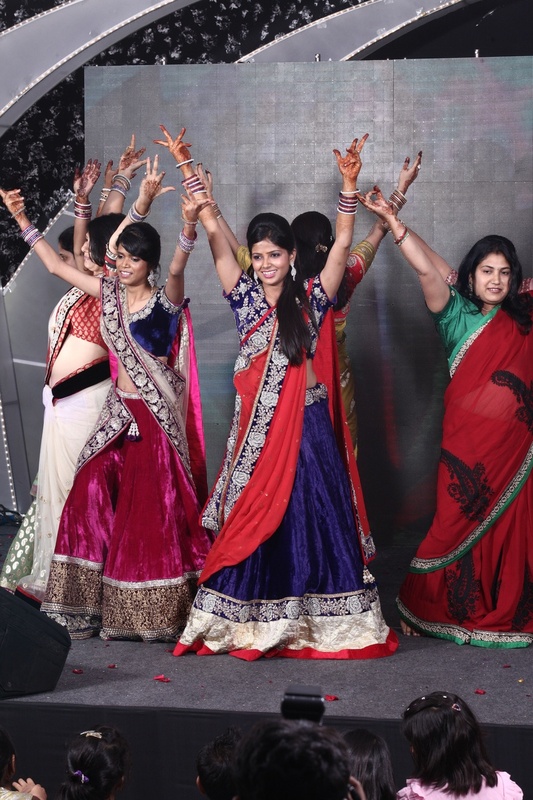 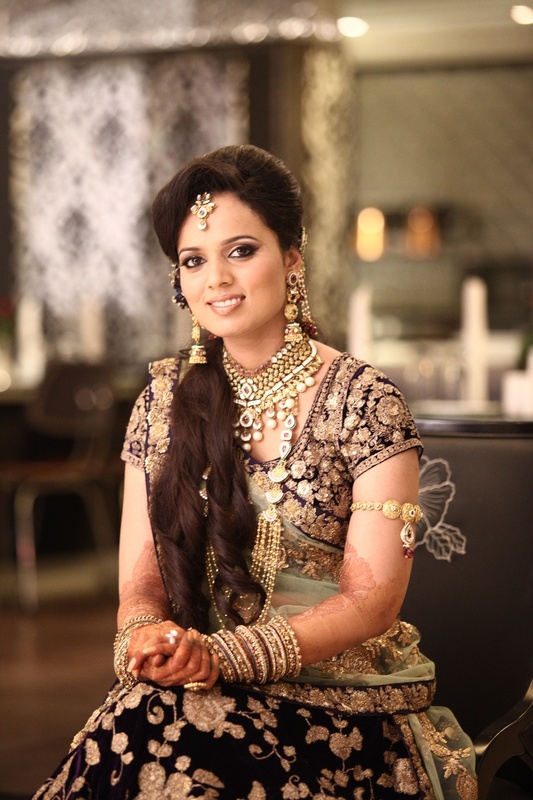 Celebrity designer Sabhyasachi was behind Nidhi’s stunning bridal outfits for the wedding and sangeet ceremony. 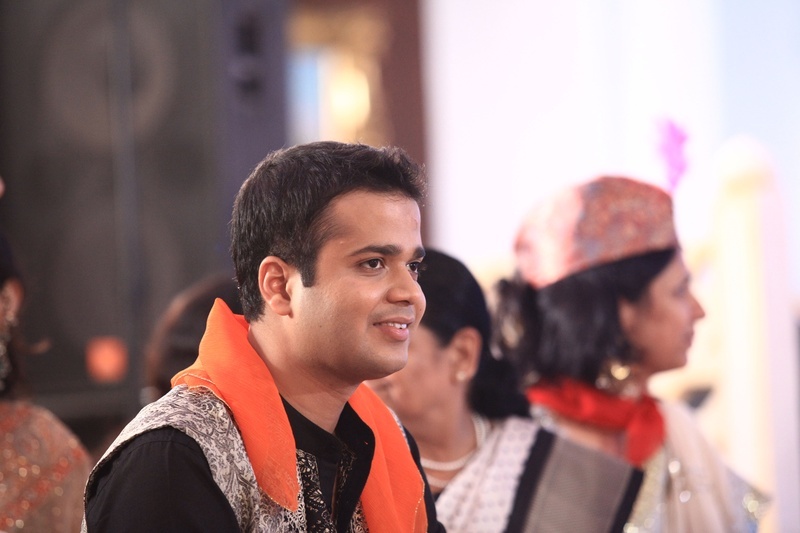 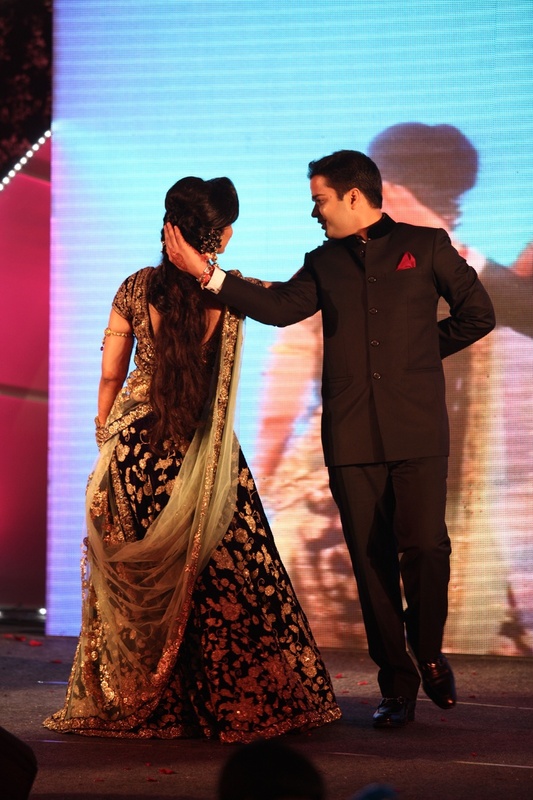 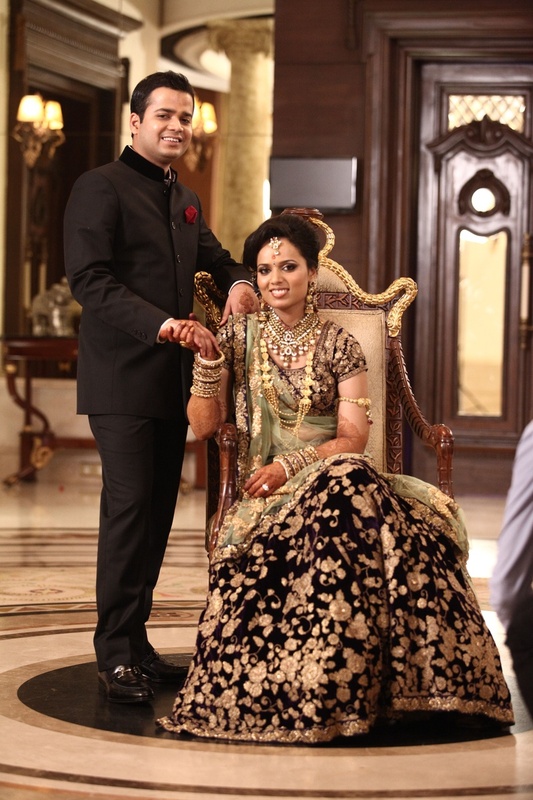 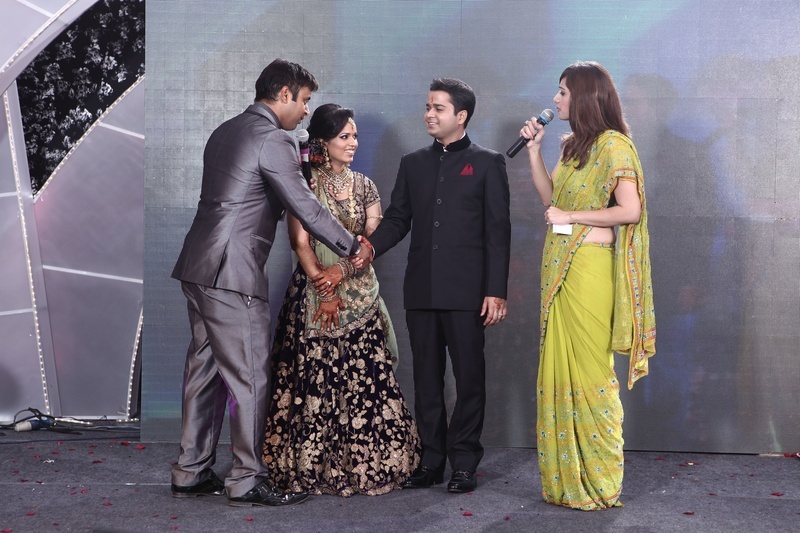 Gaurav’s entire wedding outfit was curated by the contemporary designer Raghavendra Rathore. 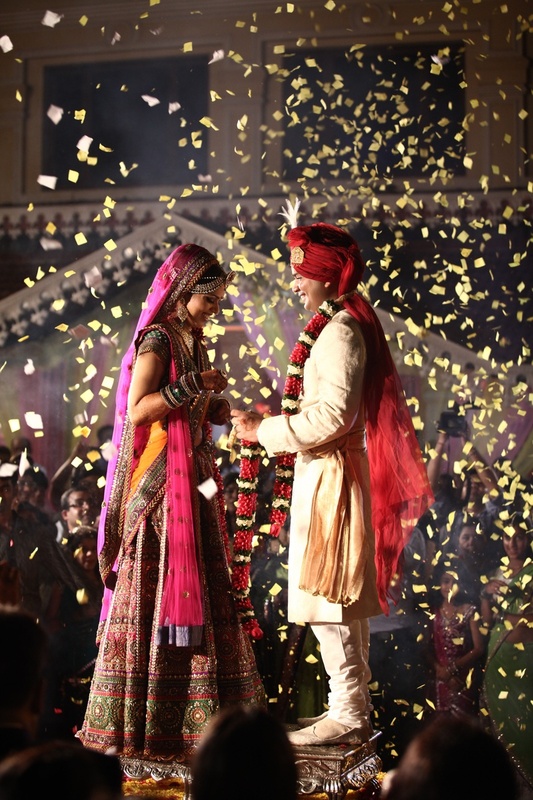 So, are you ready to see the exclusive images from their wedding day?! 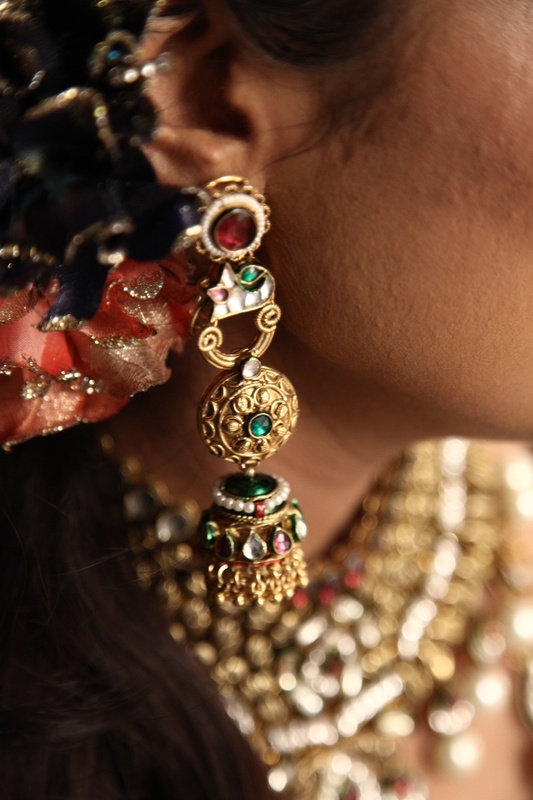 Well, wait no more and just explore!